I passed that building every day. It was old, in need of restoration, and bearing the scars of previous design faux pas. In a nutshell, it was perfect! “Do you want it?” he asked with wide eyes. “Of course I do, but…what’ll we do with a building?” It almost didn’t matter. With one look I knew that rickety old thing was meant to be ours. Talk with Beau or me for any length of time and you’ll pick up on our passion for classic Louisiana architecture. The older the better. It’s a passion we discovered while walking the streets of our first neighborhood. Oh, nostalgia takes me right back to those euphoric newlywed years. Walking hand-in-hand through the streets of our old neighborhood, admiring the old homes—you know the ones. Majestic live oaks with branches that canopy the streets, wood shutters that open and close, front porches with swings and rocking chairs and hanging ferns, sun bleached picket fences with peeling paint, neighbors visiting in front yards. Those houses lit a spark in each of us, and together we came to share a passion for what would soon be our future livelihood. 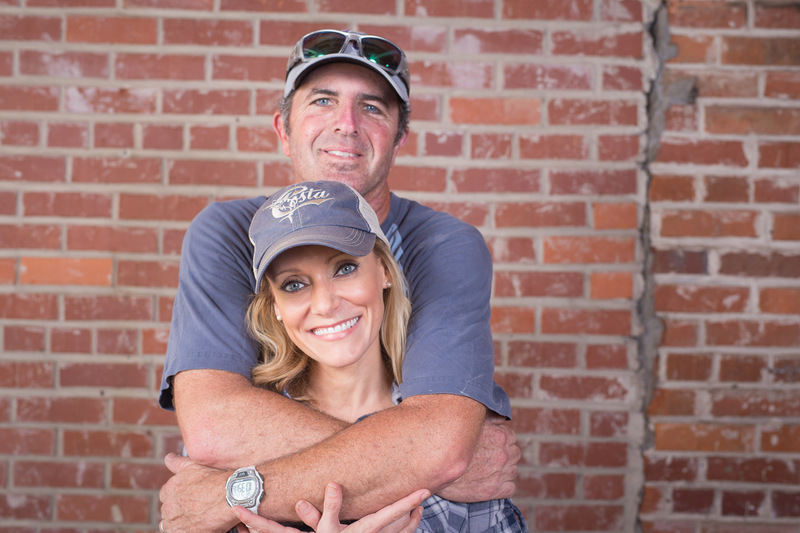 C.Mac Construction is as much about celebrating our lives together as it is about home building. It’s never been just a job to us, nor will it ever be. With every home we build, we’re honoring what we value most in our lives—family. There’s value to every season of life, and home is where these seasons are rooted. I can say from personal experience that perspective changes everything. Once we realized our purpose in life was to build the homes where families are nurtured and loved and safe, our mission took on new meaning. We wanted then, and still want now, for each of our clients to know that their homes were built not only with our hands, but also with our hearts. And now it seems the old building at 115 Rees Street will add another layer to our purpose. It’s silly, but Beau remembered my dream even better than I did. He knew how I yearned for a way to continue helping our client families celebrate the day-to-day moments in their homes—through design. You see, Beau and I spend months working with clients, helping them coordinate everything from the big stuff to the tiny details. Needless to say, move-in day is bittersweet for us. After months spent getting to know “our families,” on move-in day we have to walk away, leaving them to finish the design work on their own. But in August 2016, that will change! Antiquity will be the design center and home decor store that inspires you. If you remember nothing else from me, remember this. Your home is sacred. It is a representation of who your family is and what they love. Finding creative, unique ways to reflect yourself through design is nothing short of artistic. So be an artist!